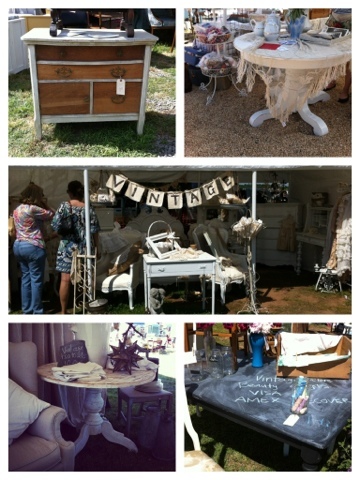 This weekend was their annual Lucketts Annual Spring Market. Their website says "seriously, bring a trailer" and they aren't kidding. I saw the perfect dining room table for my condo at half the price - plus a vintage chest of drawers that I want to repurpose into a bathroom vanity. I had to leave them there because I had no way to get them home. Related: Anyone have a pick up I can borrow? 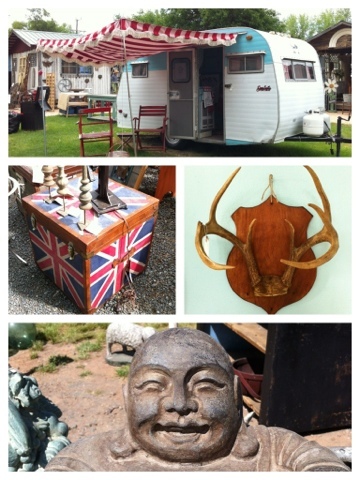 I mean, how can you not love a place with vintage mini trailers, Union Jack storage, antlers and laughing Buddhas all in one place? 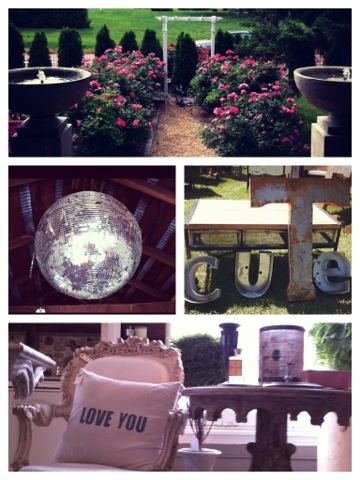 I love you too, Lucketts... and your disco ball. I bought this nightstand and weathered mirror for a combined $100. I'm in love with them both! But, after tweeting about them, my friends reminded me I should also have brought home the Champagne and the antlers. Next time! Bought these from Uniquely Yours... Or Mine. The Old Lucketts Store is located at 42350 Lucketts Road near Leesburg, VA. Follow them on Facebook to get information on events - and don't forget to reserve your truck or trailer for next year's Spring Market. 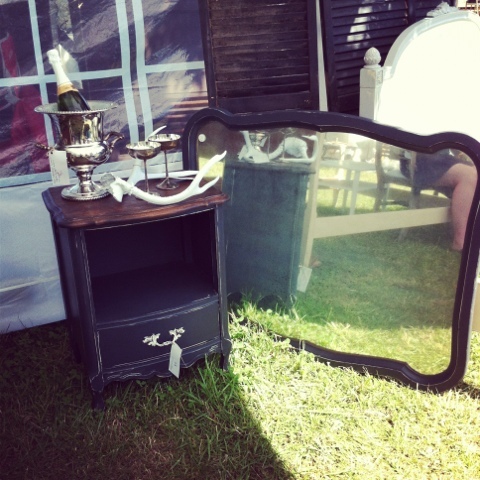 I saw that mirror and side table in Susan's tent! I'm glad you found something to take home that fit in the car.